The quote above, delivered by First 5 LA Board relations specialist Linda Vo in a gift book by staff to Commissioner Duane Dennis, was one of many expressions of gratitude given for the contributions by Dennis and fellow outgoing Commissioner Patricia “Trisha” Curry at the April 13 Board meeting. In the meeting’s only action, Commissioners unanimously approved First 5 LA’s State Legislative Agenda (see related story). The meeting also included a presentation on the Best Start Alignment Emerging Implementation Framework, for which a final design recommendation will be made at today’s Program and Planning Committee meeting. Additionally, the Board received a Learning in Practice case study presentation on the Early Childhood Obesity Prevention Initiative. The meeting began with heartfelt thanks to the two departing Commissioners by fellow Board members and First 5 LA leaders. 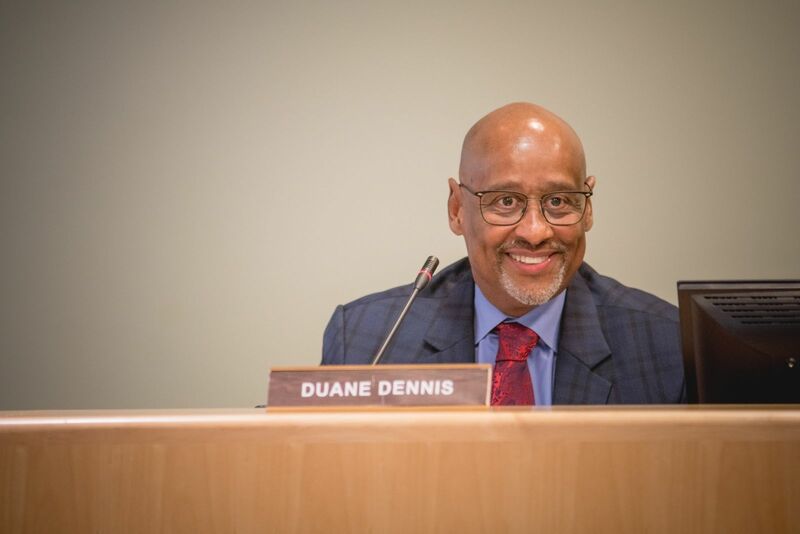 Dennis served nearly 10 years on the Commission, initially representing the Policy Roundtable for Childcare and Development and most recently, was the appointee from the Second Supervisorial District. A licensed social worker, Dennis served as the Executive Director of Pathways from 1998 to 2015 and was a member of Child Care Aware of America and the Child Care Alliance in Los Angeles County. Curry received a word cloud portrait from the staff that included words such as “Committed”, “Passionate” and “Caring”. Curry served two stints on the First 5 LA Commission – including when it was being created – representing the Commission for Children and Families each time. Much of her work has been focused on the issues facing Transition Age Youth (TAY) and the challenges they face moving out of foster care. She has chaired or served on numerous committees and testified at state hearings on issues related to children in foster care. 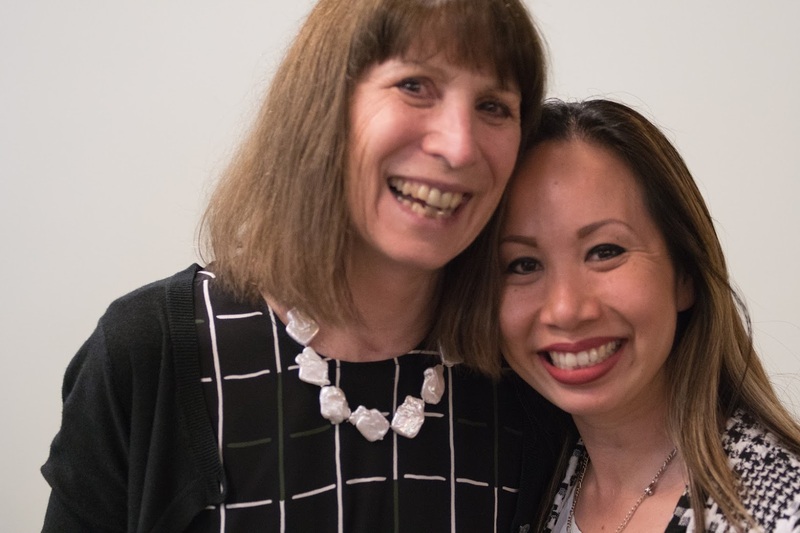 “We are always happy to acknowledge the good work, the wisdom, the contributions – all of the ways in which these two board members have enriched the lives of so many of our children through their work,” said Board Chair and L.A. County Supervisor Sheila Kuehl. “(You) have been a beacon for many of us in trying to move the needle when it comes to servicing very vulnerable populations in the county of Los Angeles,” Commissioner Marlene Zepeda said to Dennis. “I know I am a better leader and a better person by virtue of your mentorship,” First 5 LA Executive Director Kim Belshé said to Dennis. “I have a full time job working on children’s issues, and every meeting I go to, Trisha is there consistently with the same message, the same vision and the same passion. I’ve always wondered how she can do it,” said Commissioner Brandon Nichols, who serves as Acting Director of the Los Angeles County Department of Children and Family Services. “You are intrepid and you are dogged, but you are responsible for a lot of change in this county on behalf of children in the different roles you have had,” Commissioner Deanne Tilton Durfee said to Curry. For their part, Curry and Dennis were modest amidst the wave of recognition, expressing their own appreciation and reminding the Board to continue doing good work on behalf of young children in Los Angeles County. Curry urged Commissioners not to forget two groups of kids: the increasing number of children age 5 and under in the child welfare system and those youths in the foster care system with children of their own. Dennis, who called his near decade on the Board “a joyous experience”, thanked the Commissioners and the staff of First 5 LA for their hard work, offering personal appreciations to several staffers and leaders. He finished by asking all involved to challenge themselves and each other on the behalf of young children and their families.